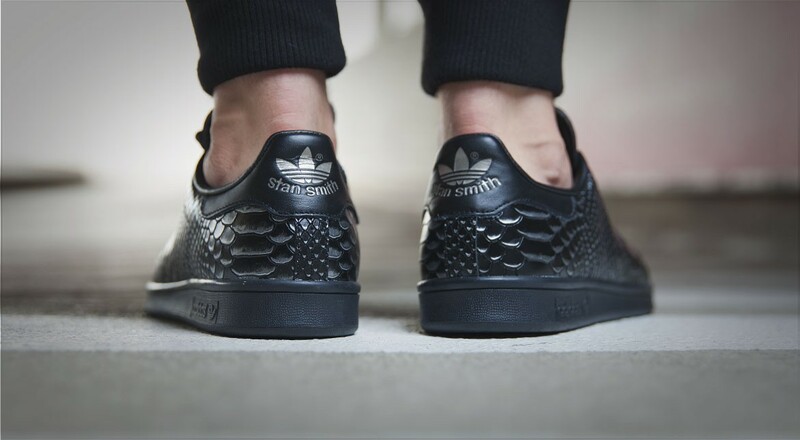 adidas Stan Smith "Black Reptile"
Adidas Originals gives a new take on the classic Stan Smith model for the Fall season. 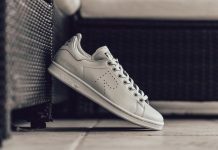 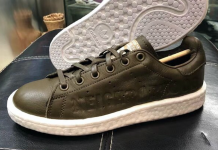 The Stan Smith silhouette is one of the cleanest models in the Adidas Originals line and this fall, Three stripes will be replacing the smooth leathers with faux reptile. 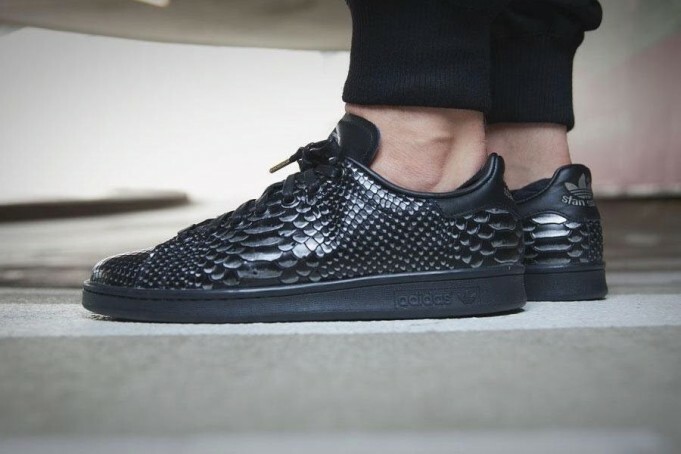 Seen here is the adidas Stan Smith “Black Reptile” colorway featuring Black and Metallic silver scales atop of a black outsole. 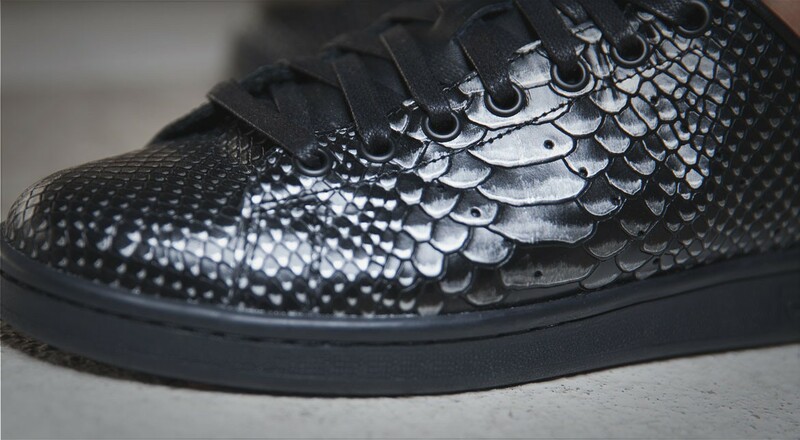 The rest of the shoe is styled in black giving you a pretty sick Fall pick. 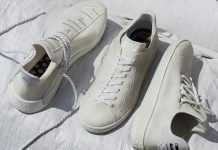 You can scoop these up at retailers like AFew Soon.